When we first conceived the Bipartisan Cafe, I knew I wanted to cover the walls with political memorabilia that told the story of our country’s historical and political past. This was mostly because collecting is a disease that I have. At the time, I eventually discovered the Internet and found my way to eBay. I scoured the antique stores, not knowing what I was looking for. In time, I found a few pieces that hung on the walls of the cafe when we first opened. Eventually, as I filled the walls, something of a plan came together. In addition to some historical items that I had collected and hung already — these were things like the Declaration of Independence, The Bill of Rights, and the Gettysburg Address — I also began to collect images of each American President. As that effort began to take shape, the walls of Bipartisan Cafe at the time looked a little too “rah rah” for my taste. With this in mind, I began to look at other significant events in our country’s history, things beyond the Presidency, and decided that I also wanted to depict those events within the cafe collection. I wanted whatever went up on the walls to represent an unflinching love affair with my country, not a fairy tale love affair. Because the truth is, I love our country, even knowing all of its faults. 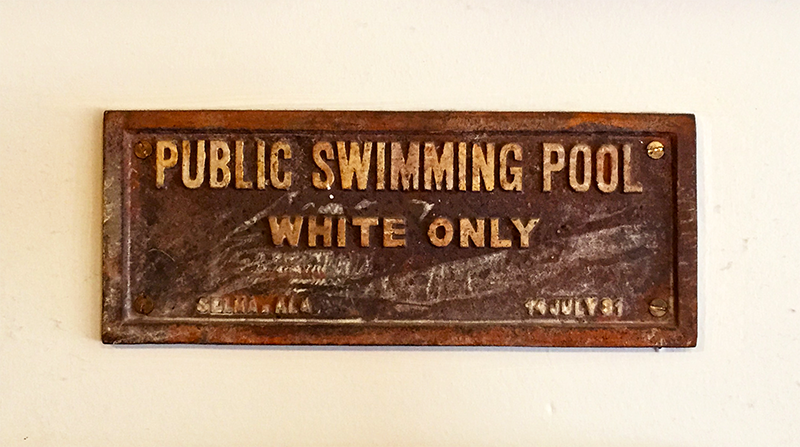 So I have included a plaque saying “Public Swimming Pool [for] White” people only, which comes from Selma, Alabama and is dated “14 July 1931.” I chose this ultimately to represent darker issues of our country’s past such as slavery, Jim Crow, the response of the Civil Rights Movement, and sadly, to represent the racism that still exists in our country today. 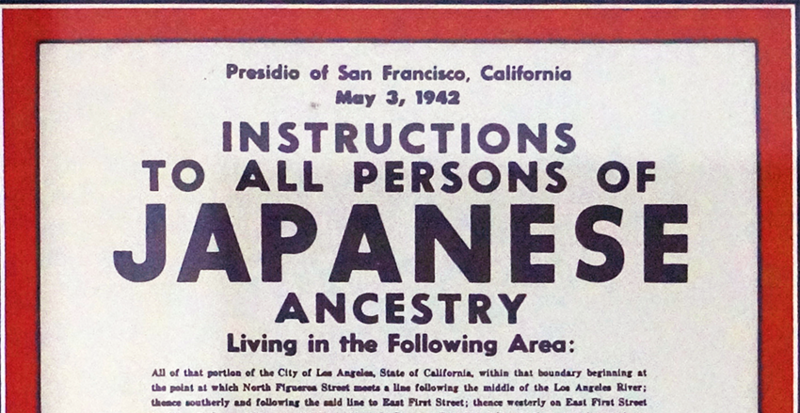 I also have a notice for Japanese people living in America to report to be shipped to internment camps during WW II. 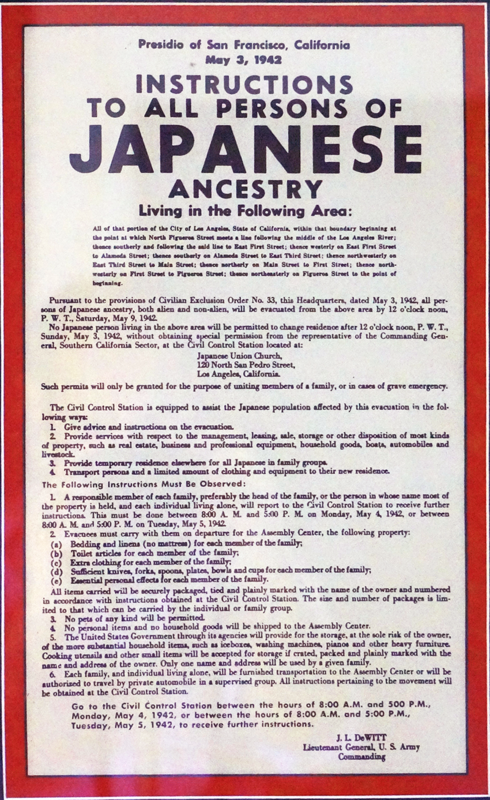 This is yet another issue that sadly is still relevant today, and a period of American history that is often overlooked, but not in our collection. I have a Superman comic book panel in which Superman instructs some children to not exclude a boy just because he is Jewish. And he reminds them that several Jewish men had died defending their country. It stands as a reminder that before, during, and after WW II, there was plenty of antisemitism here in the U.S. — and again, sadly, there still is today. There are several pieces in the cafe collection, regarding the Civil War. These include pieces depicting the governmental leaders of the Confederacy, as well as each of the three official Confederate flags. I treat the Confederacy not as a renegade government, separate from the U.S., but as one representing a strong aspect of the American people. Sadly, there are still those who have more allegiance to the Confederacy today. My hope is that these items don’t embarrass or otherwise harm the victims of these historical blights, but instead, by including them in the cafe’s collection, they are there to stimulate and generate healthy discussion, and to remind people what has happened, and more importantly, what is still possible in our country. Every month, we take a look at some of the art up on the walls of the cafe, and talk about where the work comes from, and its significance in the collection at Bipartisan Cafe. This is the first installment.